The phone rings and the caller identifies himself as a police official. Your grandson has been caught texting while driving and needs $500 to get out of jail. The "officer" suggests you go buy a few gift cards totaling $500 and read him the numbers. Apple iTunes gift cards are frequently suggested as a quick and easy way to make payment. What would you do? If you're a regular reader of our scam alerts, you'd probably laugh and hang up. But lots of people, especially seniors, tend to fall for this or similar scams, according to the Federal Communications Commission, which has issued a warning about the calls. Besides pretending to be police officers, the scam artists also pose as officials from government agencies like the IRS and FBI. They may claim they are collecting back taxes or unpaid fines and threaten immediate arrest if payment isn't made. The catch, of course, is that gift cards can be used as cash without leaving a paper trail, so the scammers get off scot free and the consumer is unable to recover the pilfered funds. The FCC notes that government agencies and legitimate companies never demand payment via gift cards. Anyone who believes they have been targeted by this scam should immediately report the incident to the company linked to the gift card (such as Apple Support at 800-275-2273), to local police, and to the FCC’s Consumer Help Center. If you are unclear if a caller is legitimate, hang up, independently look up the organization’s publicly listed phone number or legitimate website, and contact them through an official number, web form or email address to see if they called you. If you answer and the caller (often a recording) asks you to hit a button to stop getting the calls, just hang up. Scammers often use these tricks to identify – and then target – live respondents. If you receive a scam call, write down the number and file a complaint with the FCC so it can help identify and take appropriate action to help consumers targeted by illegal callers. 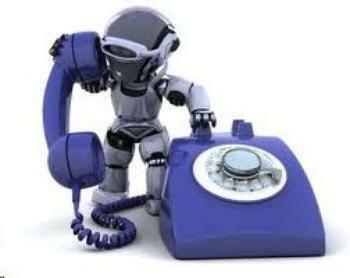 Ask your phone service provider if it offers a robocall blocking service. If not, encourage the provider to start offering it. You can also visit the FCC’s website for information and resources on available robocall blocking tools to help reduce unwanted calls.